Who saw this coming? 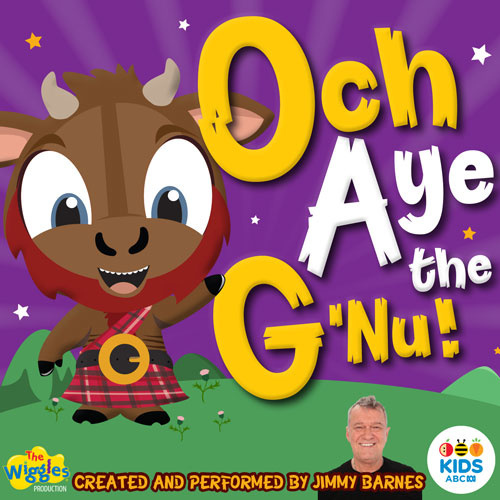 Good ol’ Jimmy Barnes lends his famous rough-hewn voice to portray a playful, cheeky gnu named Och Aye. Together with his didgeridoo-playing pal, Kangaroo, they make merry with musical backup from The Wiggles. Imagine Jimmy, er, Och Aye, roaming around the zoo and tucking into a warm sack of haggis. Yum! Och Aye the G’Nu has gone on to win the ARIA Music Award for Best Children’s Album, and be enjoyed by children all over the world. We Love Haggis, Stew and Shortbread Too!